I’m just going to start this with how I set the embossing powder because I had trouble finding anywhere on the internet that said how to do it without a heatgun tool. If anyone else out there is like me and doesn’t want to spend $60 for a heat gun, I used an iron and it worked pretty well. I made sure it wasn’t on steam and didn’t have any water in it then held it about a centimetre above the paper until I saw the powder had melted. 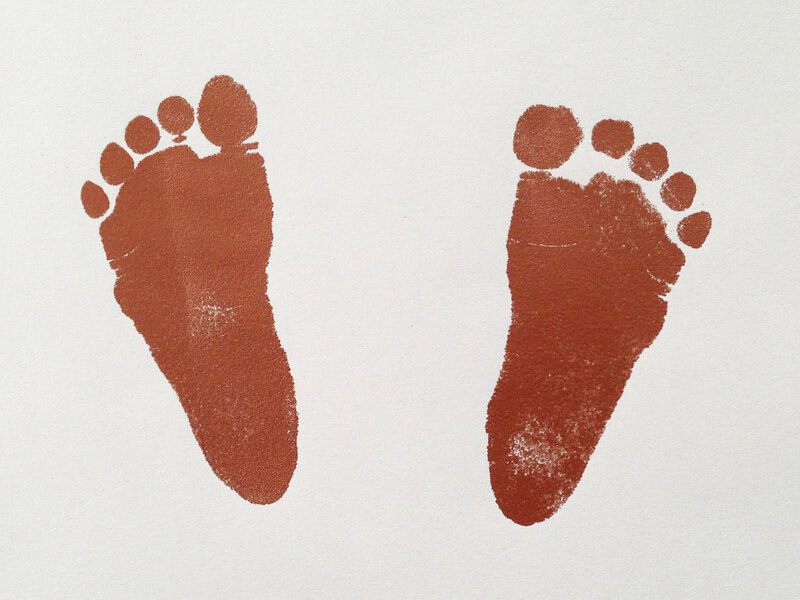 Some time ago I did a baby foot print cast and I learnt that you can’t do hand prints from newborns (they don’t want to open their tiny little fists). 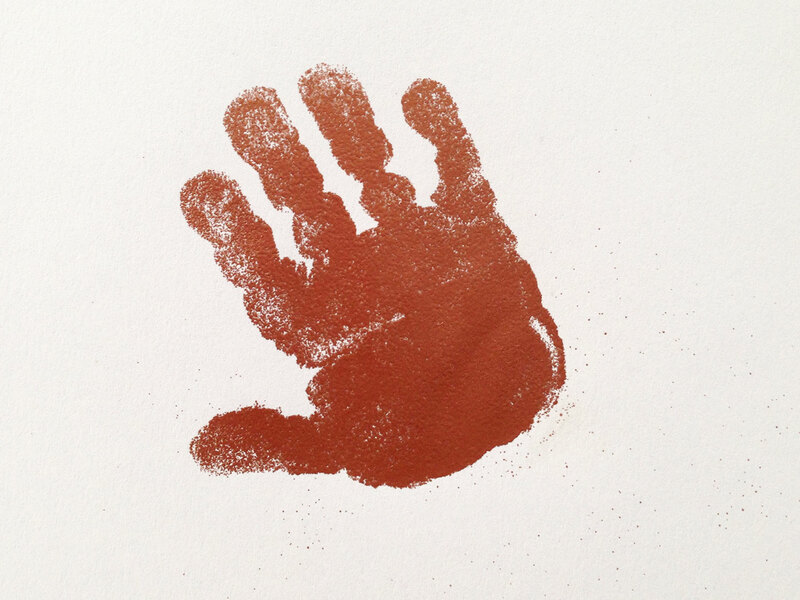 My little boy is 7 months now so hand prints are possible, still not the easiest things in the world. The foot prints were really easy though, he has become much more co-operative than he was as a newborn. To do the embossed hand and foot prints I first spent ages stressing and googling for safe ink pads to do it with. I couldn’t really find any answers so finally bought Ranger clear ink embossing pad, which the website had said was non-toxic. When it arrived it didn’t say that on the label so I spent another wee while googling whether it definitely was non-toxic. They worked really well and I was very happy with them. I like the effect of the embossing quite a lot so might get some more colours and even splash out for a real heat gun.